In 2003, Dr. Myrna S. Austria published a paper on domestic shipping competition in the Philippine Institute for Development Studies (PIDS) with a base data in the year 1998. I find her paper very erroneous starting from the data which misses a lot of shipping companies because simply put some shipping companies never bother to report to government agencies. Aside from that her classification of shipping routes, both passenger and cargo is also far from reality. Primary routes: Batangas, Cagayan de Oro, Cebu, Dadiangas, Davao, Dipolog, Dumaguete, Estancia, General Santos, Iligan, Iloilo, Masbate, Nasipit, Palawan/Puerto Princesa, San Carlos, Tagbilaran, Zambales and Zamboanga. Secondary routes: Bacolod, Coron, Cotabato, Leyte, Mindoro, Ormoc, Ozamis, Palompon, Roxas, Surigao and Tacloban. Tertiary routes: Butuan, Calubian, Corregidor, Dumaguit, El Nido-Liminangcong and Zambales. She did not know Dadiangas and General Santos are just one port. Sulpicio Lines use the old name Dadiangas while the rest use the name General Santos. She also did not know there are no more ships to Butuan from Manila but some shipping companies like WG&A still use the name Butuan instead of Nasipit, the port where they actually dock. And there were no more ships then to Dipolog then and all use Dapitan port already. Hence, the separate entries which affected the port classification. Since there are many shipping companies not reporting, she completely missed some ports that have ships from Manila. a) In her list there are no ships to Romblon from Manila because MBRS Lines have no report. That company even tried a to San Jose (or Caraingan) in Northern Samar during that time and this is not reflected in her paper. b) There is a “port” named Mindoro but we will not know if that is San Jose in Occ. Mindoro or Lubang (Tilik port) which were both served then by Moreta Shipping Lines. That clearly shows lack of shipping knowledge. c) There is a port named “Leyte”. That could be Baybay and Maasin served with one ship of Sulpicio Lines. But then how about Palompon and Isabel served by WG&A? Did she just lump up all the figures of the four ports? There is a town named Leyte in Leyte province but it does not have a port with ships calling from Manila d) And how about Cuyo which was served by batels then? If the batels of El Nido and Liminangcong are counted then why not Cuyo? Anyone familiar with Isla Puting Bato or the ports by the Pasig River know that there are ships there to Cuyo. e) El Nido and Liminangcong ports are lumped together when those are two different ports in two different towns in Palawan. f) Catbalogan was also missing when this was both served by WG&A and Sulpicio Lines then. I wonder how Zambales and Batangas were listed. Those two are not regular calls of ships from Manila. If she were counting trucks then those two deserve to be primary ports. And why two listings for Zambales both in the primary and tertiary. Which two ports are that? Again, a glaring lack of shipping knowledge. Now, I wonder how come Estancia, San Carlos and Masbate can be classified as primary ports when Bacolod, Cotabato, Ozamis, Roxas and Surigao were just considered as secondary ports. There is no way a shipping company will assign their liners to the five secondary ports to those three classified as primary ports. And the size and quality of the liners assigned are clear evidences on how the shipping companies themselves rate the ports. But it seems Myrna S. Austria is not familiar with our liners and their port assignments. San Carlos is just a sometimes route which happened to have liners again after a short time in the 1980’s when Negros Navigation had no more routes for their old cruisers. They attached Estancia to that so there will be more passengers and cargo and so the rank of Estancia increased because Sulpicio Lines also calls on that. No way Dumaguit will be that low and lower than Estancia and San Carlos as before the intermodal it will always have a liner since that is the primary port of entry of Aklan. Corregidor is a special case since it is a plain tourist destination with daily sailings and even more than once. The listed secondary ports of Myrna S. Austria can’t even claim daily departures. Primary routes: Bohol, Dadiangas, Davao, Dumaguete, Estancia, General Santos, Iloilo, Jagna, Masbate, Nasipit, Palawan/Puerto Princesa, Tagbilaran, Tubigon and Zamboanga. Secondary routes: Bacolod, Butuan, Calbayog, Catanduanes, Dapitan, Dipolog, Leyte, Ormoc, Ozamis, Palompon, Surigao, Tacloban and Talibon. Tertiary routes: Camiguin, Camotes, Dawahon, Hiligaynon, Iligan, Jetafe, Lapu-lapu, Larena, Lazi, Naval and Sta. Fe. The lump sum Bohol, Leyte and Camotes betrays ignorance of ports and routes. What ports are those? Probably those are not just one route but she simply can’t parse the data. Hiligaynon is a language and not a port. Is she talking of Hilongos in Leyte? Davao, Dadiangas/General Santos are not a primary routes from Cebu. Those are just extensions of the routes from Manila where the ship pass by Cebu. Neither is Palawan/Puerto Princesa and Estancia. The two routes from cannot even be sustained over time and historically the two don’t have a route from Cebu. Butuan is classified low because it was wrongly separated from Nasipit. Dipolog and Dapitan sank to secondary route because they were also wrong separated when every Cebuano knows Nasipit and Dapitan, the true ports are strong routes from Cebu. I wonder how Ormoc, Ozamis, Surigao and Talibon fell to secondary routes. Ormoc? She must be joking. There are day and night departures to Ormoc multiple times and even by High Speed Crafts (HSCs). Ditto for Talibon which became the primary port of entry of Bohol. The Cebuanos will be falling from their seats laughing when they read that. Ozamis and Surigao are very strong routes from Cebu and stronger than Estancia, Jagna, Masbate and Zamboanga. And Iligan is almost as strong as Ozamis. Why didn’t Myrna S. Austria just made an interview in Cebu port so she can get her classifications right? Even the lowly porter of Cebu port can make a better classification than what she did. There is no regular Cebu-Catanduanes route except by tankers. If she will will count the motor bancas then she will find that there are many trips to Jetafe in a day. And if she will count motor bancas she will also find that there is a Cebu-Pitogo route. That town is now known as Pres. Carlos P. Garcia. Is this her “Bohol port”? Or is that the motor bancas from Pasil and Carbon to the islets and other destinations in Bohol? Is what she listed as “Camotes” Poro? Lapu-lapu should not be counted there as that is a special route and a substitute and alternative for jeeps with a very high passenger volume. Unless she is counting the motor bancas to the Hilutungan Channel destinations. There are missing routes from Cebu in her paper and these are many and I will group it by direction: a) Plaridel in Misamis Occidental, b) Sogod, Liloan and Cabalian, all in Leyte and San Jose in Dinagat island, c) Cataingan in Masbate (I just wonder if there was still a ship to Placer, Masbate and Bulan, Sorsogon in the year 1998), d) Baybay and Bato which are strong routes and Hindang maybe if Socor Shipping is counted, d) Sindangan or Liloy, too in Zamboanga del Norte. It seems the paper missed about a third of the routes from Cebu and that is a blatant mistake. The ignorance of Dr. Myrna S. Austria of ports, routes and shipping companies simply amazes me (if she knew all the shipping companies then she will not miss the routes). Since her paper is on the net it is only a disservice to shipping as it misleads a lot of people including the government. I will discuss that in greater detail when I discuss what shipping companies she missed. Did she think we are like the USA, Europe, the British Commonwealth and other Highly Industrialized Countries where records are complete? We cannot even sanction here companies that does not submit reports nor of companies who do not pay taxes or remit the SSS contributions of their employees. I wonder why did she not consult people that are really knowledgeable in shipping like the senior mariners or even executives of shipping companies. Well, even simply interviewing the stevedores in Manila and Cebu would have improved her paper a lot. They cannot miss the shipping companies and the routes. The way I analyze her paper she simply depended on what MARINA (Maritime Industry Authority) and the PPA (Philippine Ports Authority) can serve her. And the two government agencies her that the reports and figures are not complete. The unknowing public might have been treating her paper as “expert analysis”. The truth is it is full of holes and wrong conclusions. And this is the problem in the Philippines where researchers and scholars do paper on fields that they have no knowledge of. If her paper is analyzed by those who really know shipping it will simply be laughed at. For me, the Filipinas Nasipit which was the former Taiko is striking in two ways. One is its sleek design that is beautiful to behold. She looks modern and fast, which she is. And that brings us to the second striking characteristic of Filipinas Nasipit – her design speed is high at 21.5 knots which is liner range in the Philippines. The only overnight ferry that is close to her in design speed is the Trans-Asia 3 at 20 knots. And we know Trans-Asia 3 is still capable of 18 knots if only the fuel cost is not a consideration. Nowadays, with capitulation of Cebu Ferries there was no need for overnight races anymore. At a design speed of 21.5 knots and at her age, I believe Filipinas Nasipit is still capable of over 18 knots even though some metal were added to her in refitting here (it was not really much). My guess is at full trot she can still run at 19-20 knots which is easily in the range of the best liners of 2GO at present. So, she is liner in speed capability. In the past, the Aboitiz Shipping Corporation liners SuperFerry 2 and SuperFerry 5 sail the 394-nautical mile Cebu-Manila route in 22 hours by sailing at the 17.5-18 knots range (those two sister ships had a design speed of 19 knots which is the maximum sustained speed when new). I want to use it as comparison since they go under the Mactan bridges. I assume Filipinas Nasipit is also capable of sailing under the two Mactan bridges and need not go round Mactan island which adds to transit time and fuel cost. Batangas is 6 hours away from Manila. So, if Filipinas Nasipit is used in the Cebu-Batangas route and assuming she sails at 18 knots then she will be in Batangas in 16 hours. It could even be less if she turns on the speed like liners do. I want to stress this because at 15-16 hours sailing time then she will then be ready to sail the next night. Therefore, theoretically, a three times a week Cebu-Batangas sailing is possible. If the extra day in a week is used in a short route like Dumaguete then actually she would also act as a Batangas-Cebu-Dumaguete ferry once a week. Neat? I believe the Cebu-Batangas route has enough potential in passengers and cargo. If 2GO still finds their Cebu-Manila route profitable now, there is a percentage of those passengers that will be amenable to a Batangas drop-off or disembarkation like the passengers going to CALABARZON except Rizal. There is also the potential enticements of lower fares, shorter sailing hours and without the hassle of going to or going out of North Harbor (because access to that national port is horrible with all the road congestion and traffic of Manila plus the crime and grime). Cokaliong Shipping Lines can also have a tie-up with a bus company going to Manila for the convenience of the passengers and its luggages. The Asian Marine Transport Corporation (AMTC) was not successful in the Cebu-Batangas route in the passenger category because the sailing time was long since it passes through Masbate and their ship Super Shuttle RORO 3 was not fast since its speed was in the overnight ferry range and not in the liner range. The fare was cheap but the food is not free and there is not even a Tourist Class (there was a space for it but it was never opened). The ship also lacks amenities and the NVH (Noise, Vibration, Harshness) at the stern where the Economy was located was not good. It was also hot since air flow even during sailing is restricted. I don’t think Super Shuttle RORO 3 ever made a dent on the passengers of Aboitiz Transport System and 2GO especially since she only sailed once a week. But in speed the Filipinas Nasipit is a match to the 2GO liners. The frequency always matters too. Waiting for two days is not long unlike waiting for a week like in the AMTC ship. The Filipinas Nasipit might be small but she has enough capacity and the route is much just like an extended overnight route. 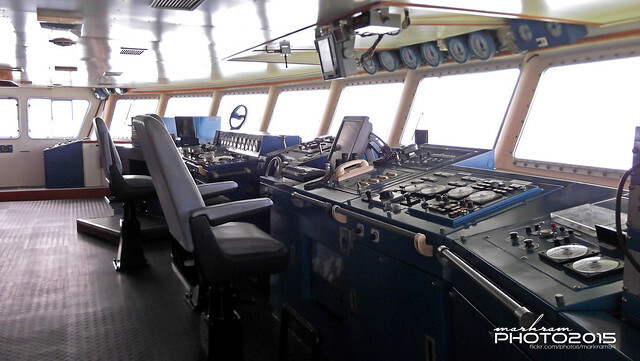 And besides the Filipinas Nasipit is well-designed unlike Super Shuttle RORO 3 and it is already modern. Cokaliong Shipping Lines Incorporated was lucky to acquire her since it can be used in a route like that. In terms of cargo, I think the Cebu-Batangas route has potential from the trucks going to Manila and CALABARZON and new cars destined for Cebu (and also the trucks going back). Batangas is a drop-off port of many imported new cars and also cars that comes from assembly plants in Laguna. I heard the cargo capacity of Filipinas Nasipit is small but if she is viable in an overnight route to Mindanao then if her load in the Batangas-Cebu route is good then she will also be profitable, why not? 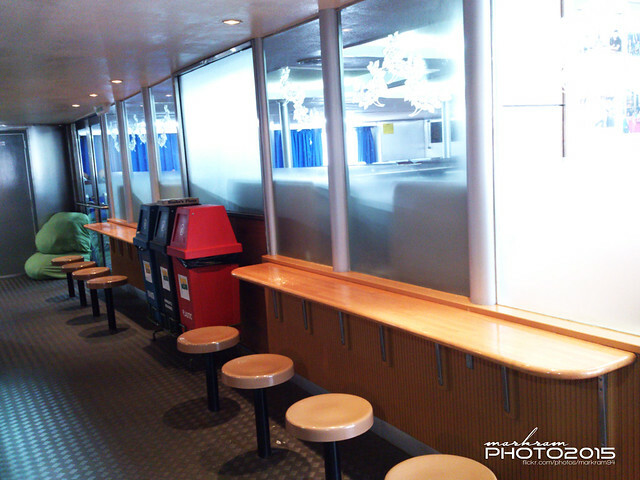 A departure of 6pm means the ship is not obliged to serve dinner to the passengers, according to traditional rules. The arrival then will be 9 or 10am and if breakfast is required then it will not be hard for the ship since breakfast is easier to prepare as it can just be continental breakfast (prito-prito lang plus coffee). However, some adjustments might be needed in the ship since overnight ships does not really have big restaurants. A shortcut that can be applied is breakfast that is served in styropor boxes. 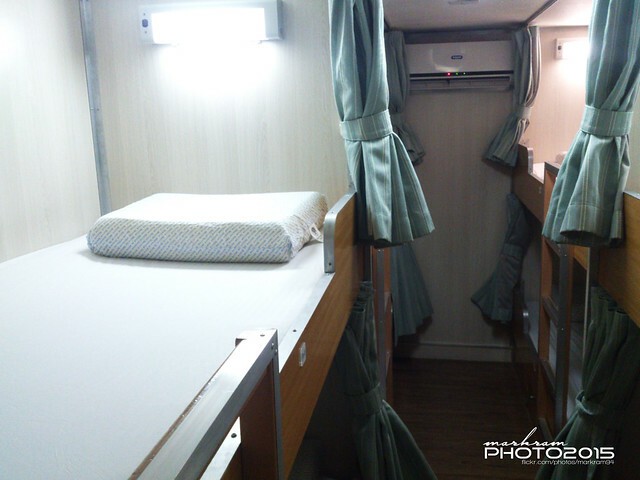 I have long thought that a Cebu-Batangas ship, as long as it is fast and it is fit in terms of accommodations will be viable in the long run when it is well-advertised as an alternative to Manila, its schedule is reliable, its accommodations are topnotch and it has a decent service. 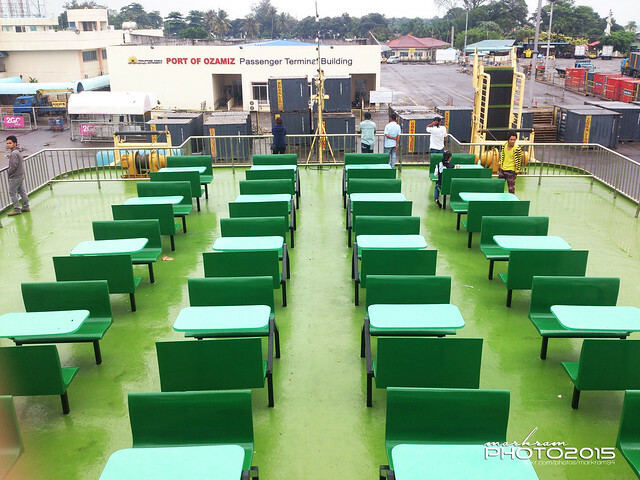 In cleanliness, Cokaliong Shipping Lines Inc. no longer need to adjust since their ships are even cleaner than the liners. The Filipinas Nasipit will fit the bill here. A 15- or 16-hour sailing is not really that taxing to the crew. An 8-hour lay-over is enough for the rest of the crew and for cargo loading and unloading. That is also long enough for loading supplies and cleaning and preparing the ship for the return voyage. As for the company, the ship will have greater usage and profit because that is just like doing a Cebu-northern Mindanao route twice a day (in terms of sailing time as in fast sailing time). Filipinas Nasipit has a passenger capacity of 685 and I think that is already enough especially at the start. If some of the accommodations are the equivalent of jetseaters of before then it will not matter as liners also offered jetseaters in the past. And actually it offers good savings if priced right. I just hope Cokaliong Shipping Lines thinks about a Cebu-Batangas route and gives it a try. They will have no competition in the route in passengers, the route has great potential, they have the right ship for a start and they already have the passenger service and cleanliness plus the attitude needed to compete in a route to Luzon (actually they are well above the overnight ships from Batangas). I hope to see a service from them soon. I will ride, why not? In the past there were passenger-cargo ships from Manila whose route were ports in the Bicol peninsula. It was numerous before the war because in that period the Bicol Line of the railways was not yet connected to the South Line (it was only connected in 1938 and was dynamited at the start of the Pacific War). After the war there were again passenger-cargo ships sailing to Bicol mainland ports but not as numerous before the war (because the Bicol Line of the railways was again connected to the South Line and there were plenty of rolling stock left by the US Army). These ship usually called on many Bicol ports on its voyage with Larap port in Camarines Norte the farthest port (which means the ship rounds almost the entire Bicol peninsula). Madrigal Shipping, however, had a route to Bicol that go round northern Luzon(what a long route!). Among the other Bicol ports where ships from Manila called were J. Panganiban and Mercedes (in Camarines Norte), Tandoc (in Camarines Sur), Virac (in Catanduanes), Tabaco and Legazpi (both in Albay)and Bulan, Casiguran and Sorsogon (all in Sorsogon). Also among the Bicol ports where postwar Bicol ships called was Masbate. Before the war there were other Bicol ports served by passenger-cargo ships from Manila like Rio de Guinobatan, Aroroy, Pilar, Donsol, Gubat, Nato, Lagonoy, Paracale, etc. Some of these passenger-cargo ships also called in northern Samar ports before pivoting and going to eastern Bicol ports. These ships were not big as many were just former “FS” and former “Y” ships. The others that were not were just of the same size. At the postwar peak of these Bicol routes the backbone of the local passenger inter-island fleet were just ex-”FS” ships anyway. Besides the cargo was not really that big because the ships were in competition with the railways which was faster than them. Among the shipping companies that served Bicol, initially the most prominent was Madrigal Shipping which were mainly using former “Y” ships. Philippine President Lines served Bicol when they started in 1960 but it did not last long. Among the minor shipping companies that had routes to Bicol were North Camarines Norte Lumber which later became NORCAMCO and NCL. Others that served Bicol were N&S Lines, Rodrigueza Shipping, South Sea Shipping, Mabuhay Shipping and Eastern Shipping Company (though not all at the same time). How come then that these Bicol ships survived against the faster trains which had four freight trains to Bicol daily at its peak? The reason is the train only goes up to Legazpi. All the ports in Bicol served by the passenger-cargo ships to Bicol except for Legazpi were not served by the trains. As for transfers, trucks were very few in that era. And pilferage and robbery were very rampant in the trains and in its stations. Trucks, in the first 30 years after the war were not a viable way to ship to Bicol. The South Road (the original name of the road going to Bicol) was not only bad. It was atrocious. Practically, only ALATCO then can complete that route then as they had many stations along the way where checks can be made and repairs performed as they have mechanics and parts in those stations. They also had tow trucks and their vehicles had regular runs and so breakdowns can be reported (most towns then do not have telephones yet; what they had were telegraphs). Things however changed sometime in 1975 when the South Road was already nearly complete. Trucks (and buses) began to roll. And the new cemented highway extended up to Bulan. Suddenly, the speeds was faster and breakdowns became few. Where before ALATCO took two days for the Manila-Larap-Tabaco run, now the Manila-Bulan run took only a night of travel even though it passes via Camarines Norte. These trucks can make direct deliveries to Camarines Norte, the Partido area of Camarines Sur, Tabaco and Tiwi (site of the geothermal plant) and Sorsogon, which formerly were not served by the railways. Moreover, because of the Mayon Volcano eruption of 1968 the railway service to Legazpi was also cut (the new train terminus was just Camalig). In the late 1970’s the shipping lines to Bicol were already under very great pressure by the trucks (and also by the buses which also carry some cargo). I think what broke the camel’s back was the emergence of the express trucks in Bicol sometime in 1976. These trucks really run very fast because they carry the newspapers to Bicol. From the first editions of the newspapers that rolled out of the presses at 10pm the previous night, they were expected to be in Naga by daybreak (after offloading papers and cargo for Daet) and continue to Legazpi and arrive there before the start of office hours while making deliveries in the towns along the way. These trucks will barrel their way again to Manila the next night irregardless of the volume of cargo. Before the end of the decade, these express trucks were already ubiquitous in Bicol. In 1979, Luzon and Visayas were finally connected intermodally between Matnog and Allen by Cardinal Shipping. Trucks and buses began to roll to Eastern Visayas and they can do the trip in no more than a day and they ran daily. The liner companies from Manila which had combined routes to Samar and Bicol suddenly saw the bottoms fell out of them because the trucks and buses were beating them badly in both areas. By 1980, the shipping lines serving Bicol were already on its death throes. That was how the Bicol shipping lines lost to the trucks and buses. The completed of highway was now called as the Maharlika Highway. Incidentally, in the same period the railways also began to sink too due to the relentless onslaught of the buses and the trucks. Yes, things always change. Some rise, some lose. Can Grief And Distress Be Read? At the turn of the millennium, my parents were already getting old and with it came the inevitable sicknesses. I began visiting Bicol through the intermodal route from Davao. The reasons were varied. One, I found out that it cost only half compared to a trip via Manila. Second, I don’t have mall eyes and it is the countryside view that I enjoy. I even hate more the always-present clouds in a plane trip. Third, I don’t enjoy battling the hassles of Manila. Fourth, I want to learn new places and I am also a fan of buses. Lastly but not least, I am a ship spotter and I wanted to learn more about the ferries of the eastern seaboard. The trips were exacting but I was younger and more eager then. I was not daunted that I don’t know the route well. By that time, I have began to give up on the Philtranco direct bus that I didn’t like. Honestly, as a Bicolano I was not a fan of the bus company as it has failed and abused Bicol for so long. Second, I do not want the long lost hours in the hot ports waiting for the ferries of Archipelago Philippine Ferries, their sister company when one is already tired (Philtranco is tied to the ferries of Archipelago). Sometimes, the bus waits for up to 5 hours for them. Third, in peak season it can be a battle for seats in Naga and then one had to wait for hours for the bus. Since I was a lifelong traveler, I decided to experiment by using Manila buses to and from Leyte plus the Surigao ride I already knew. At times I ride some local buses, commuter vans and jeeps like those in Bicol, Samar and Leyte. What a fun it is to ride the ugly-looking Samar Bus Lines buses in the bumpy roads of Samar! Or the kamikaze buses to Sogod that freewheel the descents from Agas-agas. And riding the faster Tacloban van to Allen to catch the last St. Christopher bus in Allen, a rotten bus most of the time but they were the ones that specialized then on the “stragglers”, the passengers left by the last Manila bus from Tacloban. Those early trips that rely on connections were trials and errors. Early, I didn’t know the windows of the trips in each places (what hour is the first trip and what hour is the last trip). That was when I am forced to stay overnight in dark bus terminals like in Tacloban or even the plaza in Maasin or even wait alone in a waiting shed near midnight in Sogod junction with only mosquitoes for companions. Sometimes, having eateries open at night in a junction was already heaven like in Buray. If I know the schedules well now and the window hours of the trips is because I have learned from the mistakes of my trials and errors in the past. In the process of all these, I grasped how lousy and how few were the ferry connections then across Surigao Strait. And I learned that in one mistake or one unfavorable bus or jeep connection might mean an 11-hour wait in Liloan port (once what made us miss the ship was a near-fistfight between our driver and another driver!). Or suffer long waits in Lipata port because the ferry was not running. And after all the hours of waiting then not being able to get a seat because the ferry was over its capacity. Lucky then if one will have an air vent for a seat as the stairs were just too dirty. Sometimes I vowed I will bring a carton or a newspaper so I can sit on the deck at the top of the ship. It was much better in San Bernardino Strait as there were more ferries there and not once I encounter a ferry that there that was overloaded. Even if it was, it will not be a problem since usually I don’t sit in a Matnog-Allen ferry at day. I just roam around the ship and see the outside view if there is light since the ferry there normally took only 1 hour and 10 minutes to cross. Just milling around is difficult in the Liloan-Lipata route because the ferries there took at least three-and-a-half hours to cross. The trip going north for me was much better and less tiring because I know when the bus will be leaving the terminal and so I don’t waste time and effort needlessly. In Naga, it was much difficult since one can’t predict the exact arrival of the bus from Manila (and sometime they were delayed if it is rainy or there was some kind of road obstruction or traffic). When it rains it was much more difficult especially since flagging a Manila bus to Visayas was very hard since one can’t immediately read the signboard (it is not lighted). Moreover, Visayas buses were hesitant to stop for one or two solitary passengers which they think might just be destined a few towns away (and this has consequences). Well, Visayas buses are not so kind to passengers in Bicol because Bicol bus operators tell them not to take passengers bound for Bicol (when they legally can and anyway Bicol buses ply routes to the Visayas) and if they do they are stoned. There were stretches in Bicol where the driver/conductor will tell the passengers to deploy the shades (these are curtains actually) to avert injury should a stone hit the bus. That is the reason why riding a Visayan bus I don’t speak Bicol nor do I introduce myself as a Bicolano (I say I am a Tagalog which is also true and I will speak Tagalog with the accent of my parents). One of the trips I remember well was a southbound trip where I started it too tired and very much lacking in sleep plus I was out of sorts. My brother gave me extra money for a plane trip but on the last minute I decided against it and I took the bus from Naga. My trip started at night as usual (because there are no buses from Manila passing Naga to the Visayas during the day). I can’t remember my bus now but we reached Matnog uneventfully sometime midnight and we reached Tacloban about midmorning. Usually, if I had a direct Naga-Tacloban bus I will get off in Tacloban and look for a connecting ride to Liloan. I usually do that since it is very hard to time a Liloan or Davao bus from Manila in Naga. I know that in Tacloban there will always be vans for Liloan but these were not many then. So, if there is a Sogod bus leaving immediately I might take a chance on it since van waiting times to fill can take two hours or more then. Or else take the more frequent Hinundayan van and get off at Himayangan junction and take a habal-habal to Liloan. I reached Liloan in time for the new-fielded Super Shuttle Ferry 10 of Asian Marine Transport Corporation (AMTC) which was then the best ship in the Liloan-Lipata route. Before boarding and in the bus trip maybe I was not looking too much at myself and I was just preoccupied in gazing the views and in trying to find sleep and peace. The crew of Super Shuttle Ferry 10 was welcoming unlike the crews of their competitors which nary had time for passengers and treats them like cattle. If one needs anything from them one still has to look for a crewman. Maybe since they are too used to then with overcrowded ferries they would just rather disappear and also to avoid complaints about the congestion and the dirtiness (one can’t see anyone of them take the mop to clean the muddy deck when it is rainy). Or to try to find a seat for passengers unable to find one. Or assist the elderly and pregnant. I was looking for a seat among the lounge seats of Super Shuttle Ferry 10 in the Tourist section where I can have the chance of a semi-lying position to sleep when a crewman approached me. “Sir, would you like to take a bath?” I was dumbfounded and astounded. Never in my hundreds of trips aboard ferries have I ever heard such a question. He offered a lounge seat and placed my knapsack there and said to the passengers around, “Let Sir have this seat so he can lie and sleep.” I was doubly astounded. And he nodded to the crewman in charge of checking the Tourist tickets at the door as if to say “reserve this seat for him, don’t let others take it”. And that angel of a crewman led me to a bath in the middle of the Tourist section and guarded it so there will be no intrusion. The bathroom was clean and so was the water. It was one of the most refreshing baths I ever had. The crewman led me back to the seat after my bath (I was actually a little numb and so I welcomed the assistance) and said to the effect that “please no one disturb him”. In an instant I was deeply asleep and only a gentle nudge woke me as we were docking in Lipata. I softly thanked the two crewmen and it was thanks from the bottom of my heart. Soon I was looking for a connecting bus to Davao. Can grief and distress be read in a person? Maybe I was not aware of this before because growing up in a region where we have no relatives, we don’t attend burials. Actually, once when my wife was confined in a hospital I was froze when an employee burst into tears wailing, “Wala na si Sir”. I grew up not witnessing such things or taking care of patients in hospitals when they were already terminally sick. Until now I can only thank from the bottom of my heart that crewman of Super Shuttle Ferry 10 who assisted me and showed me all kindness and assistance I needed then. The trip I was making then happened after the death of my mother. Was he really able read me? Was there some angel whispering in his ears? Did a senior officer noticed me and gave instructions? I don’t know, I don’t have the answers. 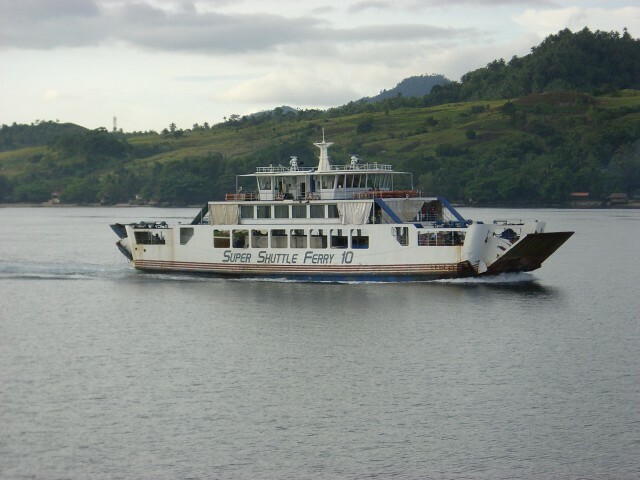 Super Shuttle Ferry 10 was soon replaced in the Liloan-Lipata route and I never rode her again. But in one ship spotting session of PSSS (Philippine Ship Spotters Society), we were able to board her in Mandaue Pier 8, the AMTC wharf. Yes, the lounge seat where I lain was still there. The only change was it was already re-upholstered. I had goose bumps looking at that seat and at the same time my heart was pounding. I tried to look at the faces of the crew. My angel was no longer there. But whatever, this article is my way of saying thanks to you again. From my heart, I wish you reach far in your career. Cagayan de Oro port is the main connection of Mindanao to Cebu through the sea and in the south it is Cebu that is the primary trade and commercial center. Cebu supplies so many goods to Mindanao and it also attracts a lot of students and professionals from northern Mindanao. Besides a lot of people in Mindanao have Cebu origins. Cebu’s pre-eminence goes back a long, long time ago and that was even before the Spaniards came. When Magellan reached Cebu they noticed that there were many ships from Siam! Sugbu was already a great trading center even before Fernando Magallanes and Lapu-lapu were born. Cagayan de Oro was not always the main port of entry from Cebu to Mindanao. Misamis town (Ozamis City now) reached prominence earlier than it and that was why it was the capital of the unified Misamis province then. And in the boom of copra before the 1929 Wall Street Crash in the US, Medina town and Gingoog were even more prosperous than Cagayan de Misamis, the old name of Cagayan de Oro (by the way there is no gold in that city; it was just a name creation to make it more attractive-sounding). Camiguin was also more prosperous then than Cagayan de Misamis (because of copra and not because of lanzones). All these are validated by the biography of former Vice-President Emmanuel Pelaez who hails from the area and whose father was the former Governor of the unified Misamis province. But things always change and when the interior of Mindanao was opened for exploitation and the Sayre Highway that extended up to Cotabato province was built, slowly the central position of Cagayan de Misamis buoyed it up until it exceeded Misamis, Medina, Gingoog and Camiguin. The Americans’ interest in Bukidnon agribusiness (think pineapple and Del Monte) also helped a great deal and with that even Bugo port in Cagayan de Misamis became a port of importance. Many shipping companies served the growing commerce between Cebu and Cagayan de Oro. Some of earlier ones were national liner companies (almost all liners then going to Cagayan de Oro call in Cebu first) and some were regionals like Central Shipping (but this graduated to the national liner company Sweet Lines). The situation then was national liner companies dominated the Cebu-Cagayan de Oro corridor (in fact the entire Cebu-northern Mindanao corridor). On the side of the regionals, they were then dependent on wooden motor boats and at best they would have ex-”F” ships or ships converted from minesweepers or PT boats. In 1974, a new shipping company was born in Cebu which was first known as Solar Shipping Lines but they immediately changed their company name to Trans-Asia Shipping Lines Inc. or TASLI for short. This company had an entirely new tack which made them surpass their regional rivals immediately. Their strategy was to buy good surplus cruisers from Japan whose size even exceeded the former “FS” ships which in those days still dominated the fleet of the national liner companies (but which actually are already reaching the end of their reliable service and were already prone to accidents). The age of those surplus ships of TASLI was about the same of the small liners being purchased then from Japan by the national liner companies. So imagine TASLI’s edge in the regional and specifically the Cebu-northern Mindanao shipping wars especially the premier route to Cagayan de Oro. The cruisers of Trans-Asia Shipping Lines were of course faster, more reliable and more comfortable as comfort was not the strength of the former “FS” ships then which has cargo origins. And, of course, the ex-”F” ships, etc. were even more inferior along with the wooden motor boats. Even in the 1970’s when our population was much smaller and the trade of goods then smaller too, Trans-Asia Shipping Lines was able to form a fleet of seven of these modern (by Philippine standards) cruisers which were all built in Japan in the late 1950’s and early 1960’s. These TASLI ships bore the names which later became familiar even to the current generation: Asia Philippines, Asia Japan, Asia Indonesia, Asia China and Trans-Asia (two were sold and replaced by ships that bore the same name). To complete the modernist approach, Trans-Asia Shipping Lines built a modern main office and an airconditioned ticketing office just across Plaza Independencia which stands until now and the company was justifiably proud of those. And I say I have to congratulate its architect and the owners because the building still looks beautiful four decades later. Their buildings were just near where their ships docked then. Actually, I sometimes go there just to feel the ambiance and the history of the place. When the new shipping paradigm came which we know today as the RORO ships, Trans-Asia Shipping Lines immediately went aboard and sold their old cruisers. In this field, among the Visayas-Mindanao regional shipping companies, only Carlos A. Gothong Lines Inc. (CAGLI) was ahead of them. In the 1980′,s after the break-up with Lorenzo Shipping Corporation, CAGLI stressed regional operations and they were first to realize the superiority of the ROROs even in the overnight ferry field. Roble Shipping Inc. and Cokaliong Shipping Lines Inc. (CSLI) were among the recipients of the cast-off cruisers of TASLI. In succession from 1987, Trans-Asia Shipping Lines acquired Asia Hongkong, a new Asia Japan, Asia Thailand, Asia Taiwan, Asia Brunei and a new Asia Indonesia, a new Asia Singapore, a new Trans-Asia, a new Asia Philippines and a new Asia China with the last one added in 1995. Trans-Asia Shipping Lines were adding more than a new ship a year in this stretch and this brought them easily to the top of the Visayas-Mindanao regional shipping companies. From Cebu as a hub, their routes spread like the spokes of the wheel with routes to Mindanao, the all the major Visayas islands and even Masbate in the Bicol Region. And they dominated the Cebu-Cagayan de Oro route. They even exceeded there Carlos A. Gothong Lines and Sulpicio Lines. The jewels of their fleet were the sister ships Trans-Asia and Asia China. The two were nearly liner in size and speed and they had the appointments and comforts of a liner. In those days, the two were probably the best overnight ships in the whole country and Trans-Asia Shipping Lines was justifiably proud of the two. It was more than a statement that “they have arrived”. They were the best among the regionals, the top in the totem pole of this category. But storms at sea can suddenly appear out of nowhere and their fury could be fiercer than one might expect. The “typhoon” that battered Trans-Asia Shipping Lines appeared on January 1, 1996 when the “Great Merger” between Williams Lines Inc., Carlos A. Gothong Lines Inc. and Aboitiz Shipping Company happened which produced the giant shipping company WG&A. With the creation of WG&A, a new, more powerful regional shipping company suddenly appeared, the Cebu Ferries Corporation or CFC. It also had another subsidiary, the High Speed Craft (HSC) company SuperCat. 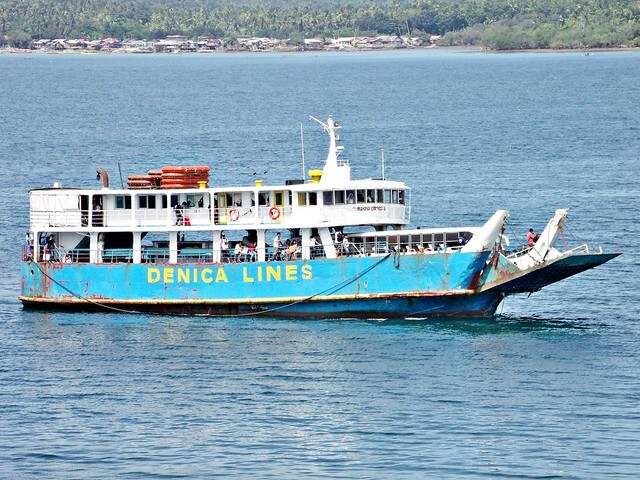 In Cebu Ferries Corporation, WG&A passed on their old liners and the former regional ships of William Lines and CAGLI. To top it and to challenge the jewels of TASLI which were ruling the prime Visayas-Mindanao route, the Cebu-Cagayan de Oro route, CFC fielded the Our Lady of Lipa and later the Our Lady of Good Voyage, a small William Lines liner which was the former Mabuhay 6. So as not to lose in the one-upmanship, Sulpicio Lines then fielded the even bigger Princess of the Ocean which was really a liner in appointments, speed and size. The Our Lady of Lipa and Princess of the Ocean were both capable of 20 knots and so the races between Cebu and Cagayan de Oro began. The bragging rights comes from which ship will arrive Cagayan de Oro port first. In Cagayan de Oro that matters because maybe half of the passengers will still be travelling long distances to Bukidnon, Davao, Cotabato, Gensan and Lanao (the farthest I heard was still bound for Sarangani islands). If one is able to hitch to a connecting ride before dawn then he will have lunch at home even it is as far as Davao. In won’t be dark already when the passenger reaches Sarangani province unlike before (if one is late and there are no more trips then one sleeps in Gensan). And reports of 2:00 or 2:30 am arrivals (or even earlier) began filtering back. From an 8pm departure in Cebu! There was no way the sister ships of Trans-Asia Shipping Lines can match that. In comfort and accommodations they probably can match ships fitted as liners (except in speed and maybe in the restaurant). But Cebu Ferries Corporation also has a more extensive route system and in conjunction with WG&A liners passing through Cebu their frequencies can’t be matched. WG&A liners acting also as Visayas-Mindanao liners were simply untouchable like the SuperFerries emanating from Cebu. Or when they use the likes of Our Lady of Sacred Heart in a Vis-Min route. Maybe TASLI then were asking what sea god they have crossed to deserve such a fate and tribulation! Trans-Asia Shipping Lines tried to fight back (and show they are not cowered). They acquired three more ships in a short stretch between 1997 and 1998, the Trans-Asia 2, the Asia Malaysia and the Asia South Korea. However, they lost two ships to accidents in 1999 and they sold three more ships early this millennium. There was simply a surplus of bottoms in the Visayas-Mindanao routes so there was overcompetition (contrary to what Myrna S. Austria claims but those knowledgeable of Visayas-Mindanao shipping will easily contradict her). A lot of regional shipping companies failed in this period. The growth of others were stunted and that included Trans-Asia Shipping Lines. Soon, even Cebu Ferries Corporation stepped back, gave up routes and sold ships. It was not simply the effects of overcompetition on them. The “Great Merger” unraveled and the Chiongbian and Gothong families pulled out and they had to be paid for their shares and so still-good ships were thrown to the torches of the breakers. 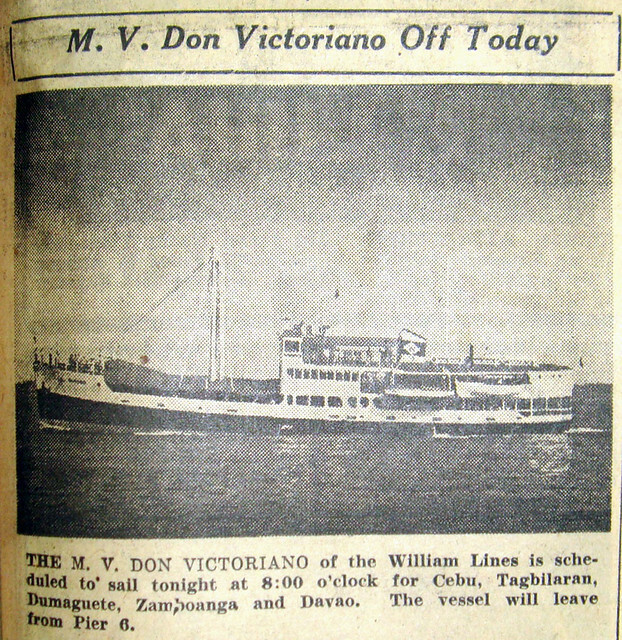 Later, reeling from the resurgence of competitors, Cebu Ferries Corporation gave up completely and its remaining ships were brought to Batangas (and becoming “Batangas Ferries”, jokingly). But Trans-Asia Shipping Lines suffered a lot. For ten years from 1998 they didn’t acquire any ships until when the purchased the Trans-Asia 3 in 2008. From 2010, Trans-Asia Shipping Lines acquired four more ships. But the difference this time were they were purchasing ships discarded by others (that was the pattern of their clients Cokaliong Shipping Lines and Roble Shipping Lines before). It seems they have forgotten the formula which brought them to the top. As I observed, they were not the same company after that bruising battle with Cebu Ferries Corporation. The “Great Merger” was actually a curse to our shipping as it turned out. Not only to TASLI but to the whole shipping industry. Shipping companies that were growing were blighted by them, some were even snuffed out completely. While Trans-Asia Shipping Lines still added four more ferries from 2010, they also lost about the same number through disposals and an accident, the sinking of the Asia Malaysia. And then they sold to the breakers their former jewels which might have weak engines already but the interiors were still superb. Now one of the cast-offs they bought, the Trans-Asia 5 now just sails as a Cargo RORO ship and another has fast-weakening engine, the Trans-Asia 9 (the Captain of her as Our Lady of Good Voyage admitted to PSSS that its engines were weak already). Trans-Asia Shipping Lines severely lacks ships now and their fleet is beginning to get gray. They still try to hold to the premier Cebu-Cagayan de Oro route but challengers are now baying at their door. I hope they have a renaissance. And like in the 1970’s, 1980’s and 1990’s that they sail boldly on to a new dawn.